Yesterday evening a special event celebrated the processing of the Theodore M. Berry Papers. Hosted by the Office of the President, UC Libraries, UC College of Law, UC Alumni Association, and the UC Foundation, the gathering attracted over a hundred people to recognize the outstanding contributions of civil rights leader Berry to his alma mater, his community and his nation. 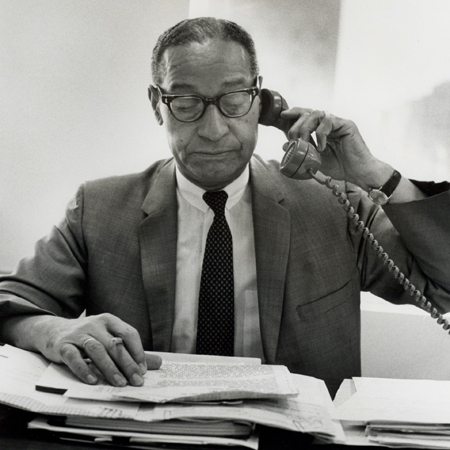 Theodore “Ted” Berry (1905-2000) was the first African American mayor in Cincinnati, served the Lyndon Baines Johnson presidential administration in civil rights programs, and was an active attorney for the NAACP. The Berry papers, acquired by the UC Libraries many years ago, were able to be fully processed through a grant from the National Historical Publications and Records Commission of the National Archives. The materials are now available for research and teaching. Held in the Alumni Center, the celebration began with a welcome from Dean Victoria Montavon and her remarks on the grant project. President Gregory Williams then followed with a talk on Berry’s public service and the significance of the celebration for Black History Month. Berry’s children – Faith Berry, Gail Berry West, and the Hon. 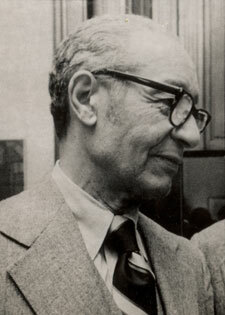 Theodore N. Berry – gave eloquent and emotional tributes to their father. A demonstration of the finding aid for the Berry collection concluded the program. It was a wonderful evening, made possible by the contributions of so many people. It truly does take a village of librarians, campus, and community leaders to guide such an important project to fulfillment: Victoria Montavon and Steve Marine for supporting and shepherding the grant; Jen Burke for fiscal assistance; Suzanne Maggard and Janice Schulz of the Archives & Rare Books Library who worked on the finding aid and website; and especially Laura Laugle, the project archivist who processed the papers and designed the web exhibit. It was Laura’s frequent blogs about the Berry project that created so much awareness not only of the contents of the collection, but the passion and accomplishments of Berry as well. Arranging the event to welcome the Berry family and the public was no small task either. Melissa Norris prepared exhibit photos and the program to make sure everything was inviting and informative, and along with Joanne Mayfield-Williams set everything in motion for the evening; Greg Vehr, who arranged for proclamations of “Theodore Berry Day” from Cincinnati mayor Mark Mallory and Ohio governor John Kasich; Danute Miskinis of the UC Foundation, Myron Hughes of the Alumni Association; Karen Sieber of the College of Law, and Marianne Kunnen-Jones of the Office of the President helped create the entire event, and Dean Louis Bilionis of the College of Law contributed his support as well. 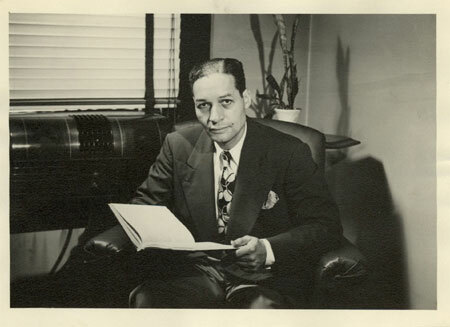 To learn more about the Theodore M. Berry Papers and the project that processed them for use, please see http://www.libraries.uc.edu/libraries/arb/exhibits/berry/index.html or contact the Archives & Rare Books Library, 513.556.1959 or archives@ucmail.uc.edu. The Berry collection is a dynamic one as more materials will be accessioned as time goes by, photo exhibits will be mounted on the website, and informative blogs will continue to be posted.